Health & BeautyTrec Herbal Energy - 60 tabl. 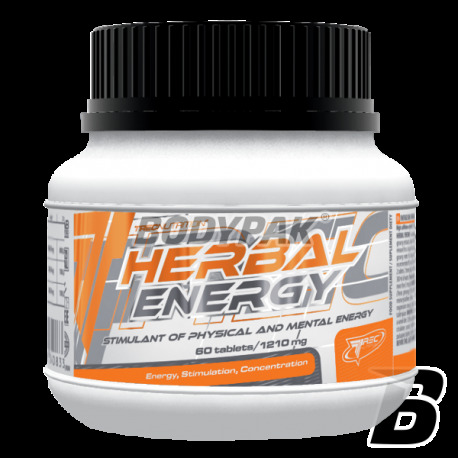 TREC HERBAL ENERGY is a complex of carefully selected herbs with an energizing effect. The combination of high quality, concentrated extracts of Guarana and Ginseng American and Korean stimulates the brain and nervous system, helping the body during high physical activity or mental. 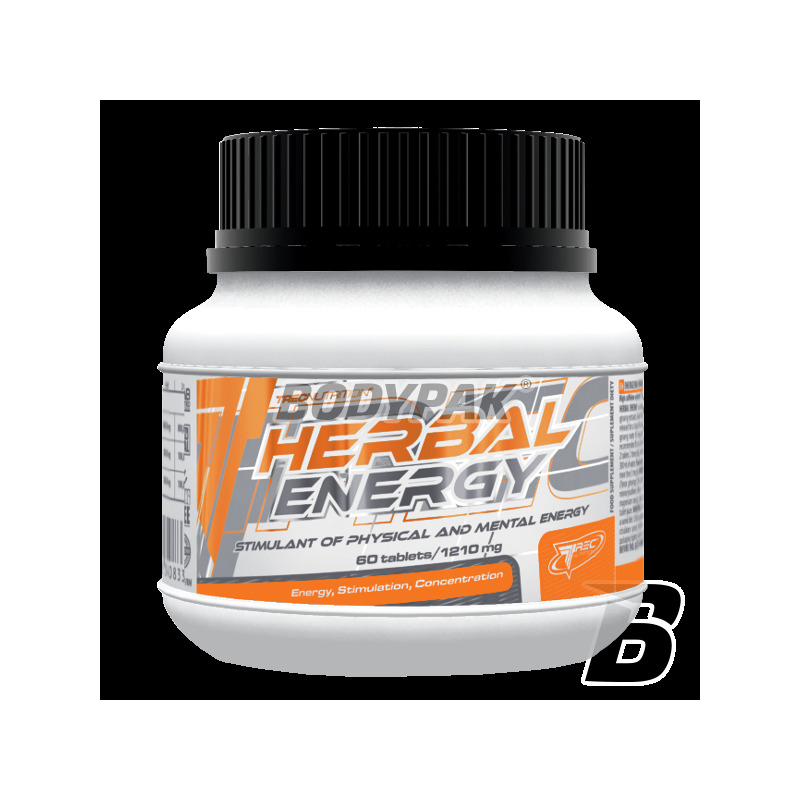 The product increases energy production, improves concentration and away the feeling of fatigue. It works much longer than pure caffeine, up to 6 hours of consumption. TREC HERBAL ENERGY increases the adaptability of the body, which can prolong and intensify the workouts. TREC HERBAL ENERGY - THE POWER OF NATURE CLOSE IN TABLETS! Ingredients: Guarana Extract (Paullinia cupana) (22% caffeine), di-calcium phosphate, silicon dioxide, magnesium stearate, stearic acid - anti-caking agent, ekstrakc of Korean ginseng (Panax ginseng) (10% ginsenosides), extract of ginseng American ginseng (Panax quinquefolium) (5% ginsenosides), capsule (gelatin, dye: titanium dioxide), magnesium salts of fatty acids - anti-caking agent.